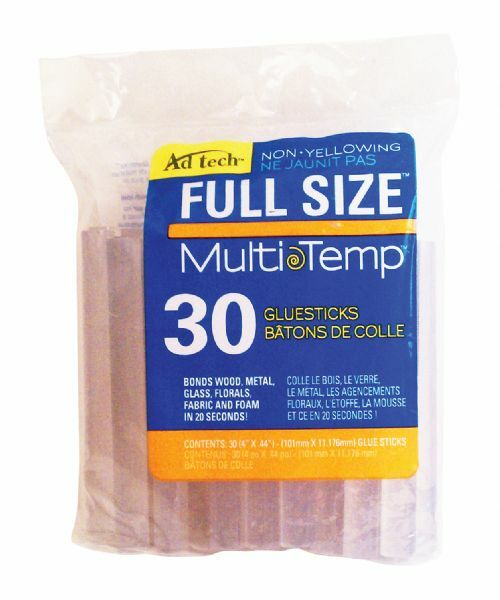 * 30-pack of non-yellowing glue sticks. * 4" long x .44" diameter. 7.5" x 5.5" x 1.63"